Certified organic roses are only available from two sources that I've been able to find in the United States or Canada: Mountain Valley Growers and Rolling River Nursery. A handful of other nurseries and growers do offer roses grown without synthetic pesticides or synthetic fertilizers, but not certified organic. Those nurseries offer everything from climbers and minatures to Buck roses, tea roses, heirloom strains of roses and more. USA customers should always check first before ordering from Canadian nurseries for current regulations governing shipping plants across borders. Product: Roses, grown without synthetic pesticides or synthetic fertilizers but not certified organic. Many varieties (climbers, shrubs, ground covers) available, all grown outdoors and hardy for colder areas. They currently ship their roses to the USA. They also have a large variety of other plants and trees that they don't ship to the USA and are only available to Canadians. Product: Miniature roses, all certified organic. They also have a fantastic selection of over 400 varieties of culinary and medicinal herb plants, as well as other perennial plants, including butterfly bushes, all certified organic. They also have certified organic vegetable plants. Product: A selection of USDA certified roses. They also have a huge selection of USDA certified organic trees including fruit trees, landscape trees, nut trees and fruiting shrubs and bushes, fruiting vines, herbs, lavender, cacti and more. 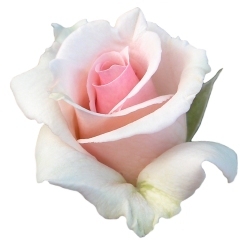 Product: Roses, grown without synthetic pesticides or synthetic fertilizers but not certified organic. Varieties range from hardy miniatures to climbers. They also offer oriental lilies, and lavender that are grown without synthetic pesticides or synthetic fertilizers but are not certified organic. They also sell gladiolus bulbs. In addition, they sell a few other items such as organic seed potatoes, organic onion sets and a small selection of herb plants.